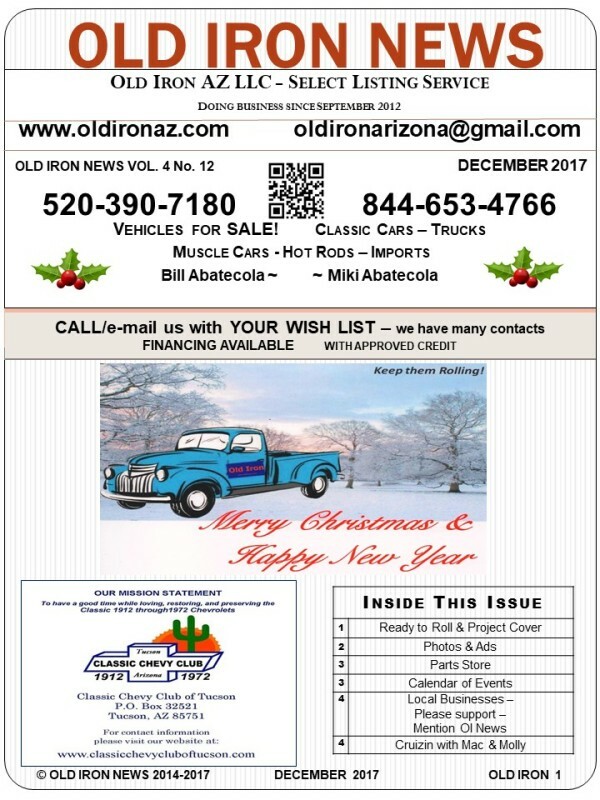 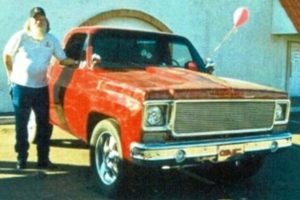 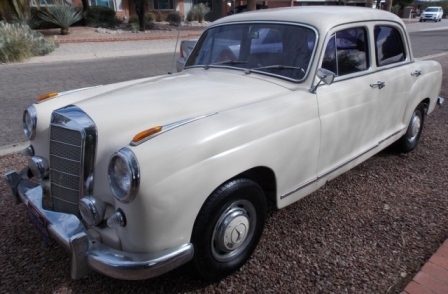 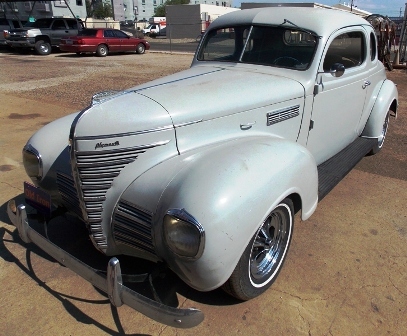 We created our ‘Old Iron News’ Newsletters because there was a need for a local Tucson paper describing what is happening in the classic car industry here in Tucson and Southern Arizona. 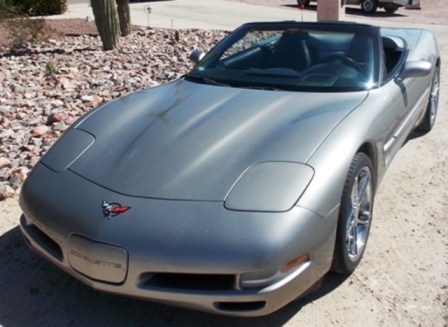 We list featured cars for sale. 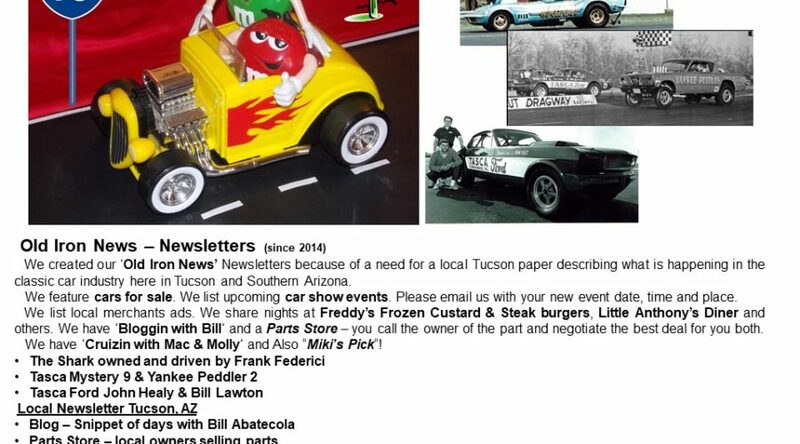 We list upcoming car show events. 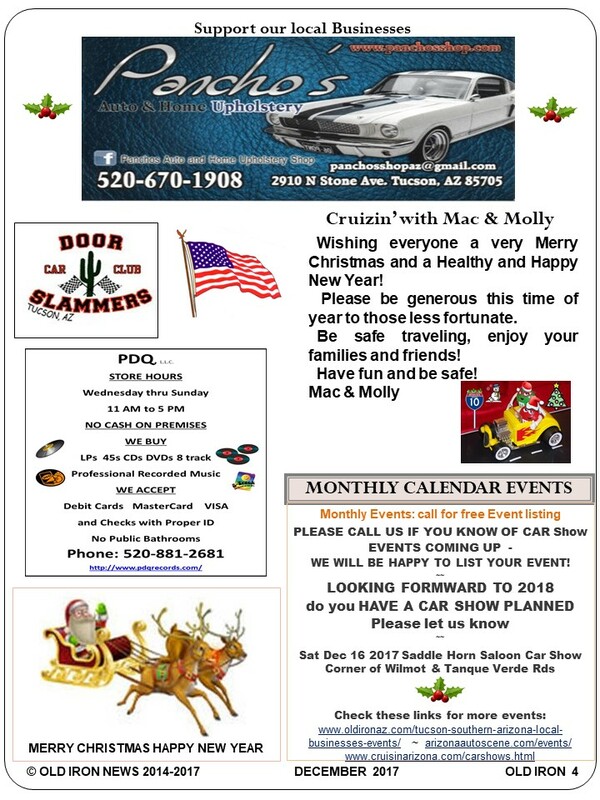 Please email us with your new event date, time and place. 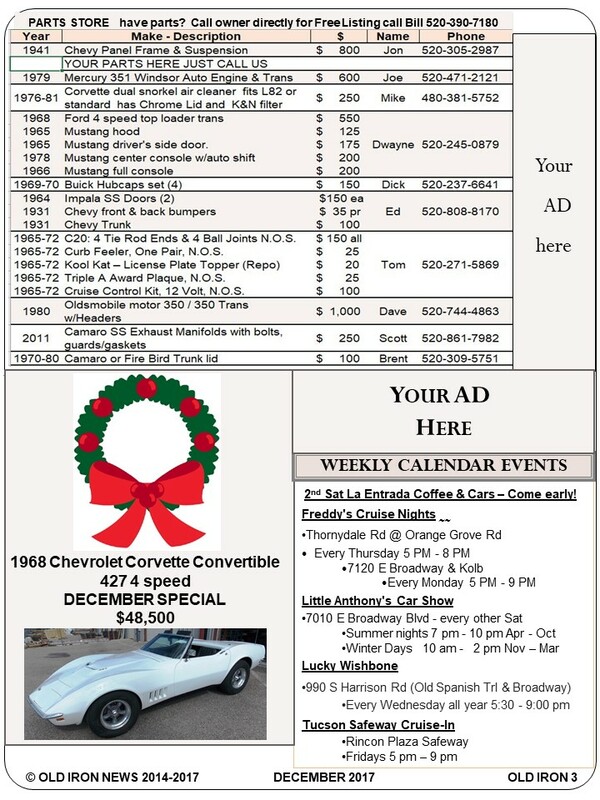 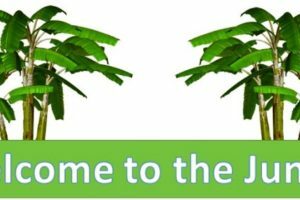 We list local merchants ads. 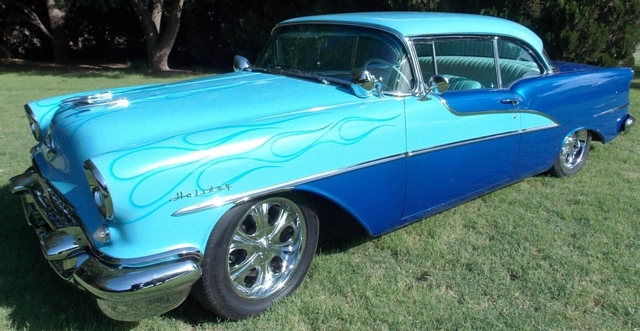 We share cruise nights at Freddy’s Frozen Custard & Steakburgers, Little Anthony’s Diner and others. 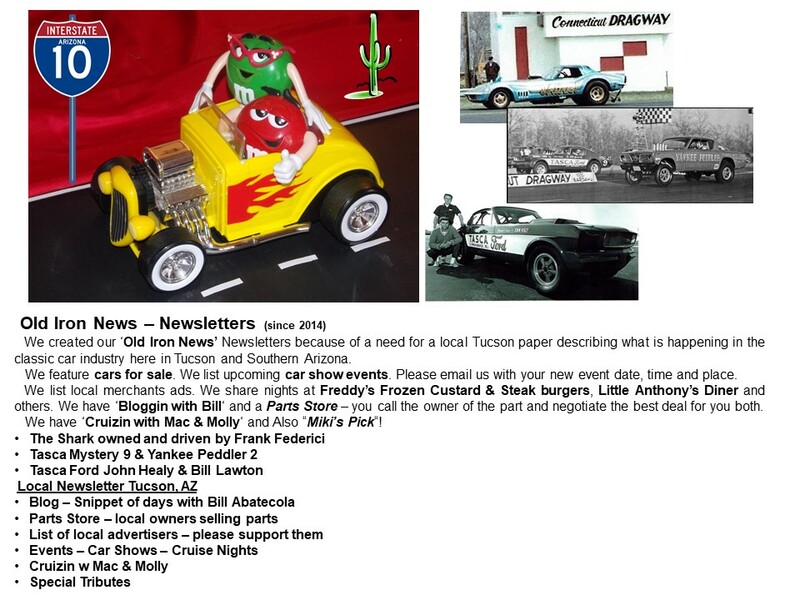 We have ‘Bloggin with Bill‘ and a Parts Store – you call the owner of the part and negotiate the best deal for you both. 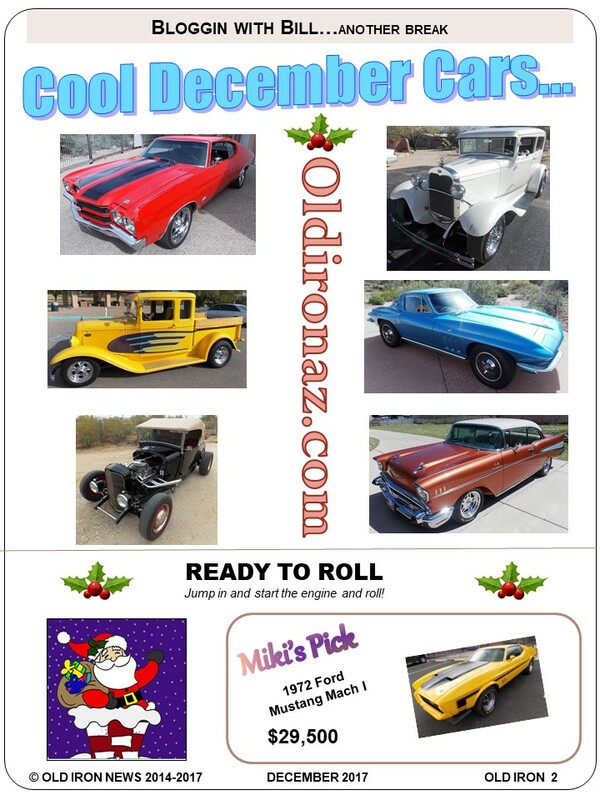 We have ‘Cruizin with Mac & Molly‘.